Temples were the houses of the gods and goddesses. 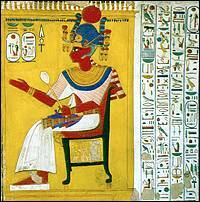 The walls were decorated with writing and pictures that showed the pharaoh's respect for the gods and goddesses. Priests who worked in the temples were scribes. They were the people who performed the sacred rituals that were necessary to keep the gods and goddesses happy. 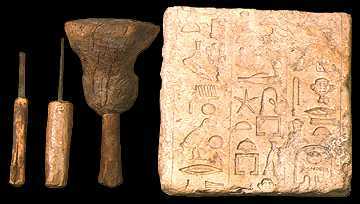 Thus, they needed to be able to read the instructions for the rituals that were written on papyrus scrolls and carved into the temple walls. These tools were used for carving wall reliefs.